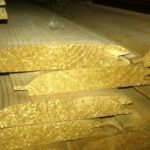 All the timber cladding featured on this page are available from stock with delivery in 2-5 working days. Available in 4.5 m lengths. 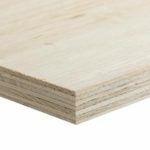 Tanalised matchboard available in 4.5 m lengths. 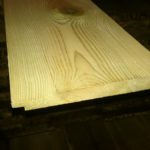 Tanalised Redwood matchboard cladding ex 125mm x 25mm board, Finished at 20mm. 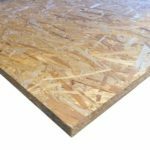 Efective coverage per board 110mm. Tanalised, available in 4.8 m length. 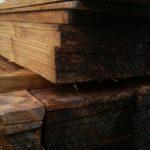 Available in lengths from 0.9m(3ft) to 2.4m(8ft). 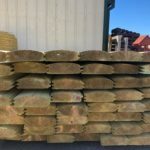 Here at Oakdale Fencing we stock a wide range of timber gladding to meet a variety of needs. 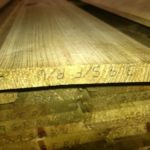 All of our timber gladding is pressure treated and tanalised. 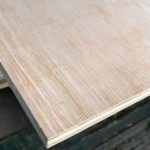 We supply a variety of different timber gladding options including loglap gladding, matchboard gladding, shiplap boarding and standard plywood sheeting. If you have any questions regarding your gladding requirements please contact us and our friendly and helpful team will assist you in choosing the right gladding.